When will Doctor Who return to our screens? Doctor Who returns to BBC One this Autumn as Jodie Whittaker begins her epic new adventures in the TARDIS, and yes, we're also feeling the excitement! What's the latest Doctor Who news? All the latest news and updates from the Whoniverse can be found on our Latest News page. Is Doctor Who 24/7 on social media? We certainly are! We're on Facebook, Twitter, Instagram, Tumblr, Google+ and YouTube. Is Jodie Whittaker ON SOCIAL MEDIA? 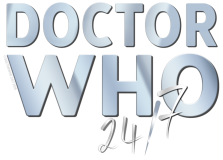 WHat is Doctor Who 24/7? Thanks for your interest! We’re a fan site for Doctor Who, providing all the latest exciting news and content on the BBC sci-fi drama. Not affiliated with the BBC. Can I use your content for my own projects? We’d be delighted for you to feature our content in your projects or assignments! Credit to us would be greatly appreciated. If you have any further questions, head over to our Contact page, and we’d be more than happy to help. How can I become an editor or guest writer? If you’re a fan of all things Who, and think you have what it takes to join us, we'd love to hear from you! Please get in touch via our Contact page. Please note: We are currently not in a position to pay editors or guest writers. My question isn't in your faq! Don’t panic! You're more than welcome to get in touch via our Contact page.